One of my friends is one of those friends that you pretty much talk about nothing but food with. It's funny, it's like forget everything else, lets discuss all things food. I love it. I'm pretty sure we were remarking on all the goodness that is cheese, where she told me that 'I must absolutely try this, you'll love it!' So I decided to attempt it one afternoon, I think her version involved brie where I went with camembert, but she was right. I loved it. Like a lot. Preheat the oven to 350d. 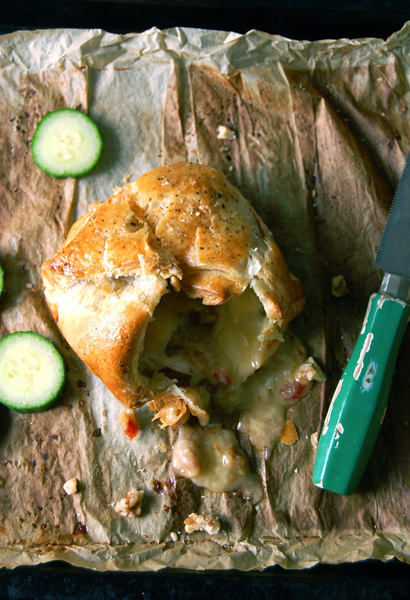 On a baking sheet lined with parchment paper, lay the puff pasty sheet out and place the cheese in the middle. Spread the chili jam or jelly on the cheese, this can be quite thick, and top with the walnuts. Bring in each corners of the pastry (feel free to do a fancy fold, if you know any or cutting to get a little bit of a more elegant effect), just bring one corner over the other to cover the cheese, brush with an egg wash and place in the oven for 15-20 minutes or until it has browned. I scooped up the gooey goodness with cucumbers, but feel free to use whatever... apple slices would be amazing. OH MY, indeed!! This looks incredible! Jesse: It would be totally amazing with fig jam! I'm pretty sure this is one of those things you could add almost anything to! 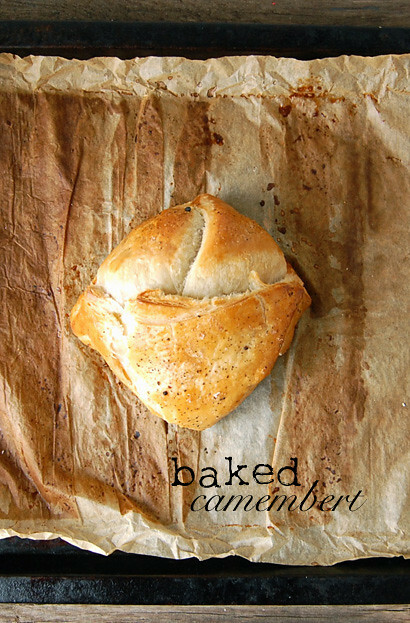 Lick My Spoon: Camembert is so close to Brie that there isn't much of a difference. I pretty sure any soft style cheese would work! Mmm I love camembert! Reminds me of a dish served at a pub we frequented in London when studying abroad in college. Yum! I adore your recipes and your beautiful photos. I can taste that gorgeous cheese! I'm so making this. Yumm! looks delicious! I love all your photography! What a great idea! I must give it a try. I have heard of this but have never tried it...you photo is just over the top GOOD! I am trying this soon! The red chili jam sound so tempting!! So scrummy! That first click is amazing.